Our mission is to be to help educate the public about how people may heal cancer naturally … and introduce you to comprehensive research that clearly shows that this is possible and happening. Those from mainstream medicine have objected for the last 100 years to the people and clinics worldwide who have offered real education and solutions with great success to people who have come to them with serious illness (e.g. the Gerson Institute which was shut down. They relocated to Mexico in the 1950’s to keep up the great work they were doing). We have also been challenged, however we feel it is our social responsibility to make available to people this suppressed information so that they may indeed be empowered and become confident when making decisions regarding their own health and well being. If you are interested we invite you to read on, visit the links, ask questions and become more informed. We would like to guide you into finding more of your own resources in your search for healing for yourself, your family or friend who may have cancer. Many people will choose the conventional medical cancer treatments available and we honour their decision to do this. We believe when it comes to healing the body of serious illness it is best to become as knowledgeable as possible about how to go about it and base your decisions upon this knowledge. The resources on this page relate only to natural options as access to medical advice is more commonly known and readily available through medical practitioners. Our intention in discussing this relates to the well being of people who are prepared to find more truth about health and well being. From what we have learnt and are learning common western diseases like cancer have been most predominant and on the increase since the turn of the the 20th century (1900) when there was also a large change in what people were eating. Over time more foods that are highly processed and high in animal protein have become more available while whole plant based foods have become a lesser part of the diet in general. Natural remedies proving highly effective are suppressed through media control and propaganda (which we have experienced), closing down clinics, banning products, writing fraudulent and false information about them on websites such as Quackwatch, which results in the death and suffering of many. Please research this for yourself to see. Please click on the link below to view a movie which is one example of how highly effective life saving and natural cancer treatments are being suppressed and in our opinion is nothing short of crimes against humanity – all out of greed for money and control over people. As claimed by the author … “This award-winning film is two hours long, in two parts, and covers a comprehensive range of topics. These paragraphs are USED WITH THE WRITTEN PERMISSION OF THE AUTHOR AND ARE SUBJECT TO COPYRIGHT. You will also hear from Dr. Heidrich who, after surgery, treated her breast cancer without chemotherapy, radiation or any other conventional treatments by following The Rave Diet. As claimed by the author relating to cancer … “Join over 20 million people throughout the world who have watched this award-winning film. It covers a lot of ground very comprehensively – and all within 88 short minutes. Among the many highlights are interviews with Dr. Caldwell Esselstyn, Dr. Neil Pinckney, Dr. Ruth Heidrich and Dr. Joseph Crowe. The Eating DVD is used in wellness clinics throughout the world to motivate people to change their diets and restore their health. Why we have an epidemic of heart disease, cancer, diabetes and other diseases. Why following federal nutrition guidelines will kill you. Why the government promotes foods that shorten lives. Why almost everyone has cancer by the time they’re fifty – and don’t even know it. Why our top two nutrition worries should be our last. Why doctors treat symptoms of disease, not causes. Why our most deadly diseases were rare before 1900. Why most school-age children already have heart disease. Why there’s no difference between white meat and red meat. Why Americans have weak bones. Why politicians are America’s dieticians. Why our eating habit is like smoking, but more lethal. Why the most disturbing death statistic of our time is so little known – and it comes from the Surgeon General. The China Study, T Colin Campbell, PhD and Thomas M. Campbell II – relating to cancer. There has been research undertaken and published and available to the public about how cancer and other diseases (referred to by T. Colin Campbell, PhD as diseases of affluence) may be healed naturally with nutrition that is readily available to most human beings on this planet. 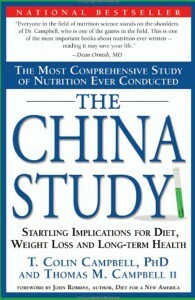 If you are interested in how you may assist your body to heal from cancer or other common western diseases (and prevent them) we recommend you read, “The China Study” by T Colin Campbell, PhD and Thomas M. Cambell II. This book explains how the research was done and gives straight up answers that take away so much of the confusion that surrounds diet in the Western world today. We found that these answers are straightforward and easy to apply in everyday life. Understanding nutrition need not be as complex as it has become in our society as discussed on pages 19 and 20. There are 471 pages and a wealth of information that we believe has the potential to assist your body to heal from cancer, empower you in your health decisions and greatly improve your health and life if applied. 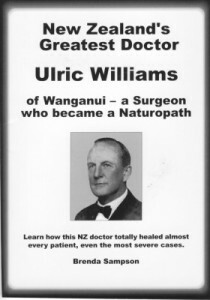 New Zealand’s Greatest Doctor Ulric Williams of Wanganui – a Surgeon who became a Naturopath. Clinics where people are learning how they can heal themselves naturally. The Gerson Institute is a non-profit organization located in San Diego, California, dedicated to the alternative, non-toxic treatment of disease, using the Gerson Therapy. Their aim is to assist people to heal from cancer naturally and in our opinion taking the desperation out of healing cancer, desperation that can come from the belief that we have limited options to take care of our health needs that not people are prepared to undertake. From the information we have we agree when the Gerson Institute claims its therapy as a a safe, natural treatment developed by Dr. Max Gerson in the 1920’s that uses organic foods, juicing, coffee enemas, detoxification and natural supplements to activate the body’s ability to heal itself. Over the past 60 years, thousands of people have used the Gerson Therapy to recover from so-called “incurable” diseases such as cancer, diabetes, heart disease and arthritis. 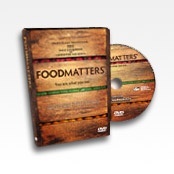 Charolotte Gerson, Dr Max Gerson’s daughter who founded the Gerson Institute features in the “Healing Cancer From Inside Out” DVD and the “Food Matters” DVD. The Living Foods Institute. Based in Atlanta, Georgia, USA. The Living Foods Institute is an educational training centre devoted to teaching people how to restore their health through detoxification and good nutrition. 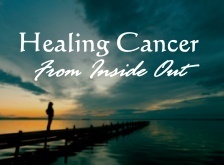 The “Healing Cancer From Inside Out” DVD includes interviews from Brenda Cobb who healed herself of breast and cervical cancers naturally after seeing what other family members go through with conventional medical treatments. Her energy and vibrancy is apparent in the interviews where she talks enthusiastically about people who visit her Institute and are healing themselves naturally from not only cancer, but diabetes, arthritis and many other common diseases of our Western Society. She also talks about how people with AIDS have had a complete recovery (although this has been called an incurable disease that leads to death). The Kushi Institute. Based Massachusetts, USA. Their programs teach people how to make the supportive dietary and lifestyle changes that can provide the greatest positive impact on their health and life. An Oasis of Healing is based in Mesa, Arizona, USA and treats people with cancer using alternative therapies. It is led by Thomas Lodi, M.D who is a Homeopathic Physician, practices Metabolic Medicine, Internal Medicine and Integrative Oncology and is a Certified Nutrition Specialist. The Living Foods Institute is an educational training center devoted to teaching people how to restore their health through detoxification and good nutrition.